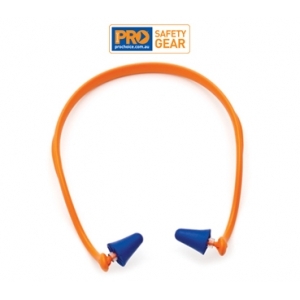 The ProBand Fixed Headband Earplugs provides the wearer with the highest level of protection for a headband earplug. They are ideal when moving in and out of high noise areas and fit comfortably around the neck when not in use. The Disposable PU foam pads are ergonomically designed to fit the ear for maximum protection and provide hearing protection for noise levels up to 109dB. Comes in a complete set Qty/Pack of 1 with bonus replacement pads.